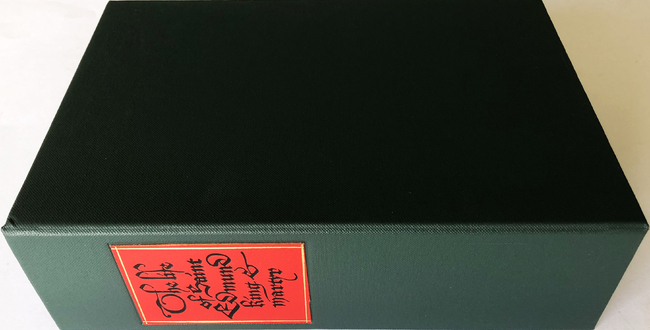 This is another of the superb facsimile limited editions produced by the Folio Society. 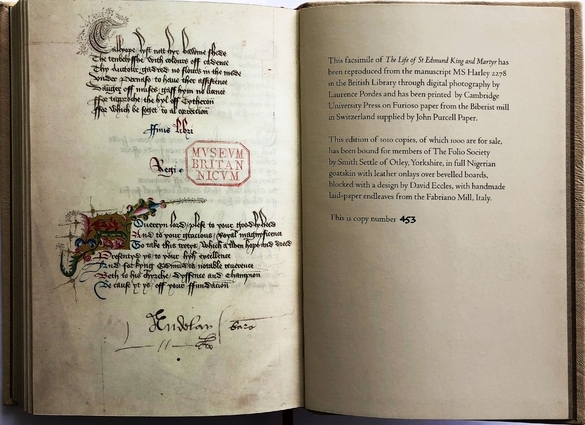 The original was produced by the monk John Lydgate for King Henry VI to commemorate his stay in the Benedictine Abbey at Bury St.Edmunds in 1433. 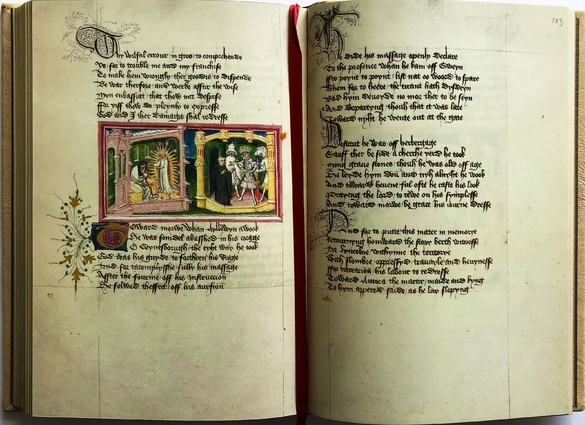 It is a translation from the Latin into Old English of the life of the patron saint of the abbey. 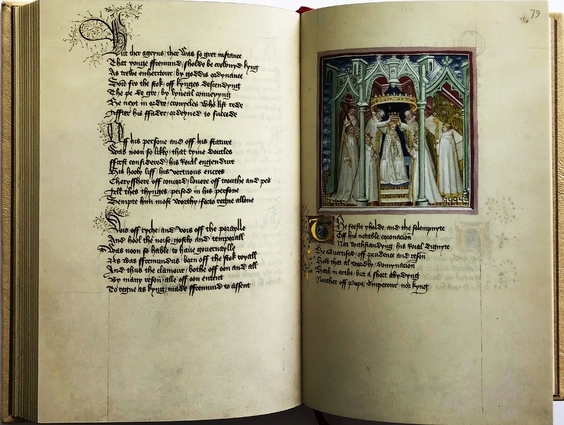 The story is a poem that recounts the life and martydom at the hands of Danish invaders in 870 of the East Anglian king. 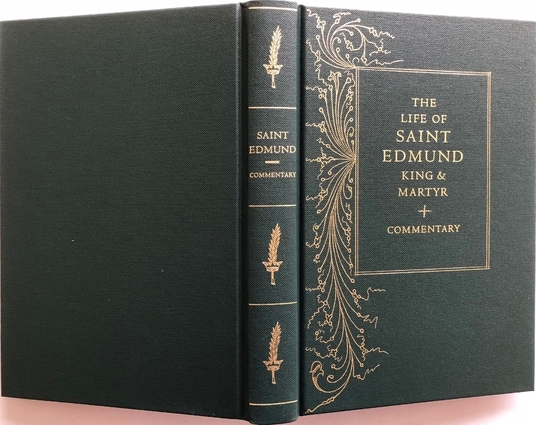 It is an elaborate narrative detailing the legendary reasons for King Edmund’s sainthood. 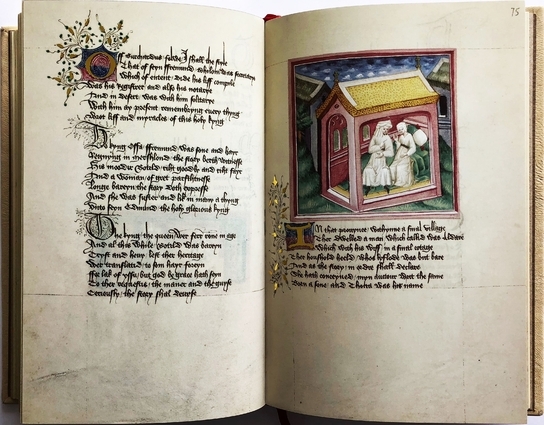 The manuscript is lavishly illustrated and gilded, with numerous gilt illuminated capitals. 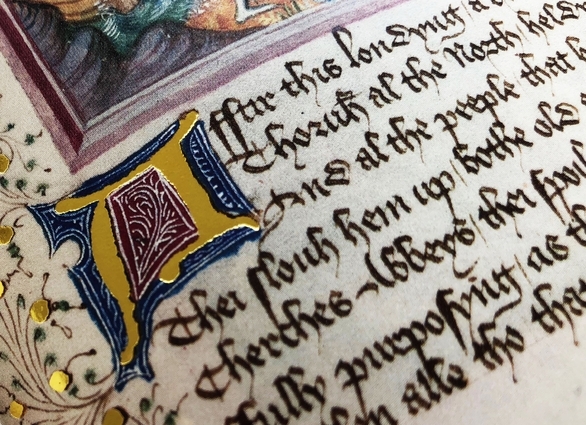 The facsimile reproduces the gilding beautifully. 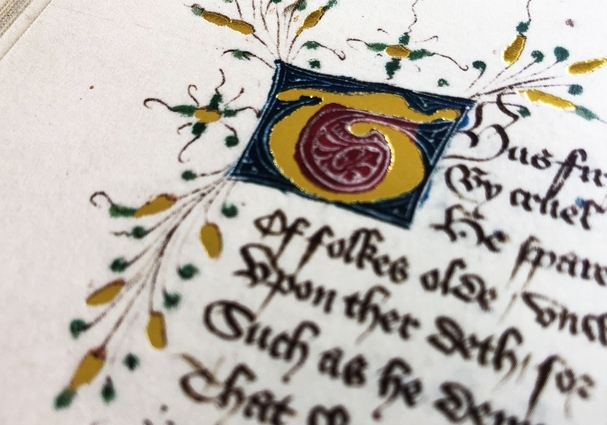 The original is housed in the British Library and consists of 119 parchment leaves. 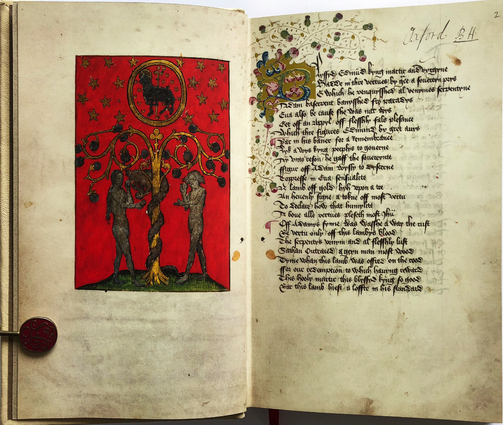 The photos below do not do justice to the magnificence of the reproduction. 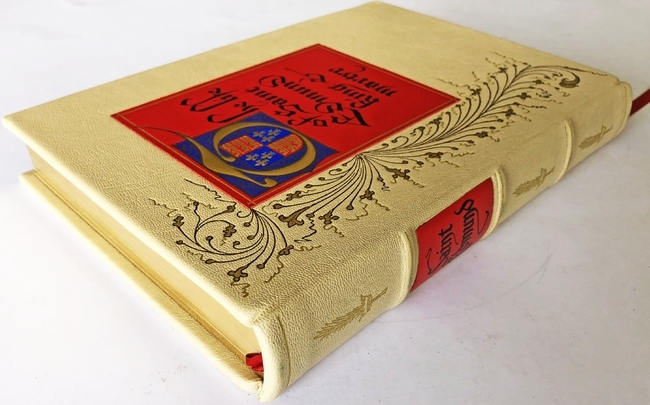 The facsimile is bound in cream leather blocked on the spine and cover with a gilt design and red leather title label. 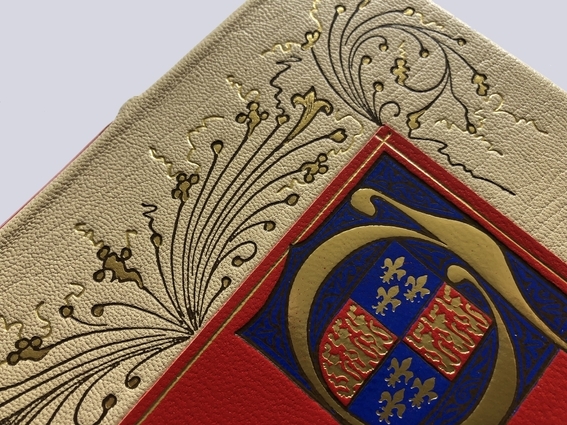 It has been printed by Cambridge University Press on heavy Furisio paper which replicates the original parchment. 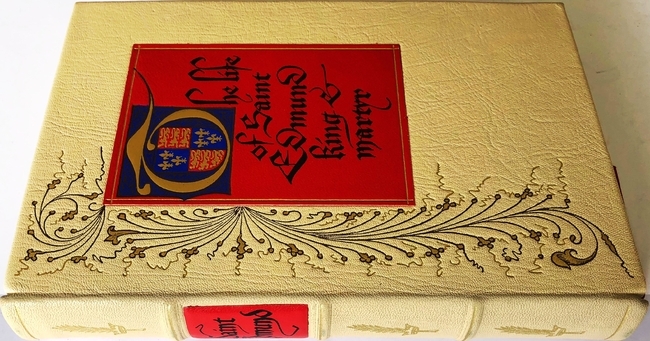 There is a red marker ribbon, the endpapers are dark brown cloth. The limitation is 1000 copies plus 10 hors commerce. Mine is number 453. 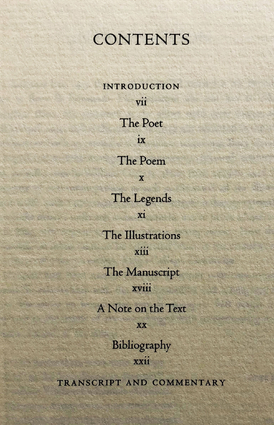 A separate commentary volume by A.S.G. 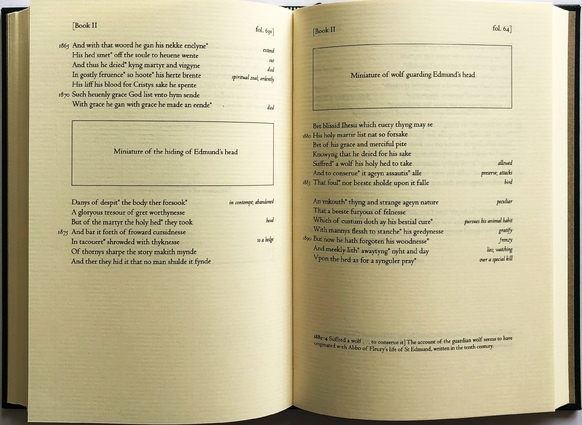 Edwards introduces and explains the manuscript in the first 22 pages, then gives a word for word transcription of the Olde English while explaining any confusing terms in modern English. 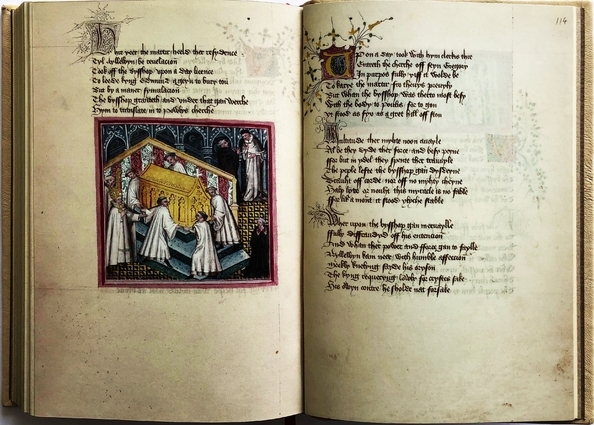 All the illustrations are also given captions. 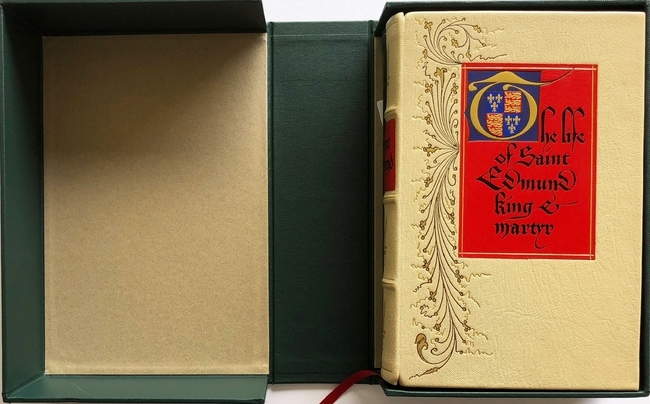 It is bound in dark green buckram blocked in gilt with title and a design. 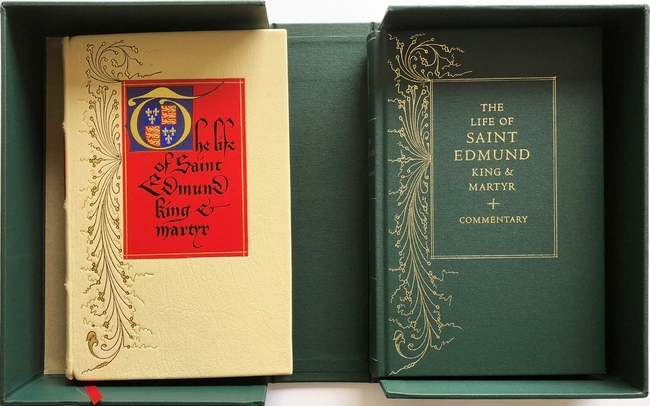 Both books are housed in a dark green Solander box 28x19x7.5cm. 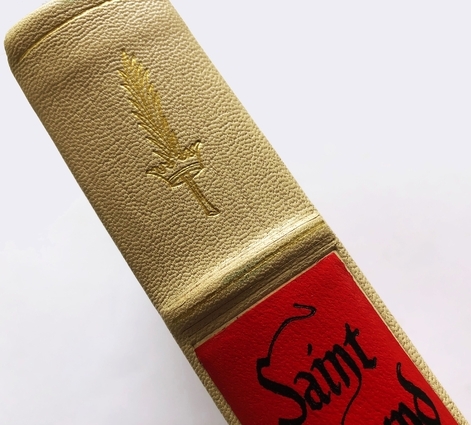 which has a red leather title label on the spine. 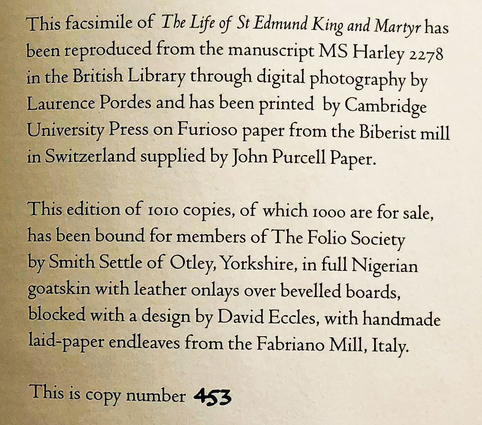 An index of the other illustrated reviews in the "Folio Archives" series can be viewed here. Beautiful, highly desirable. Any idea what this might fetch in todays market? 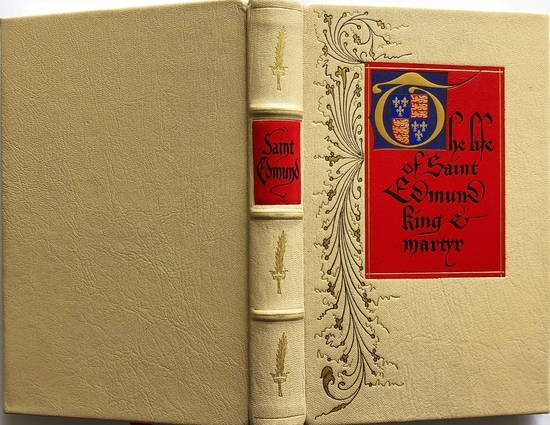 First and Fine has a copy for £250. 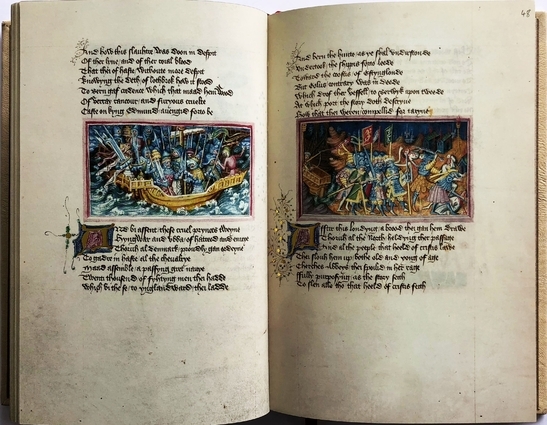 >3 wcarter: Can’t find it. Must have gone already. >3 wcarter: Correction, found it through google search - it didn’t show up on F&F search. >3 wcarter: This is the silliest thing - It’s out of stock, that’s why it didn’t show on F&F search. 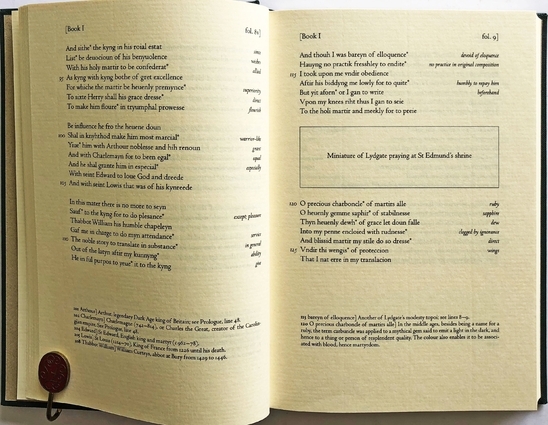 To pick a nit, the original was in middle rather than old English -- Lydgate was an admirer of Chaucer. 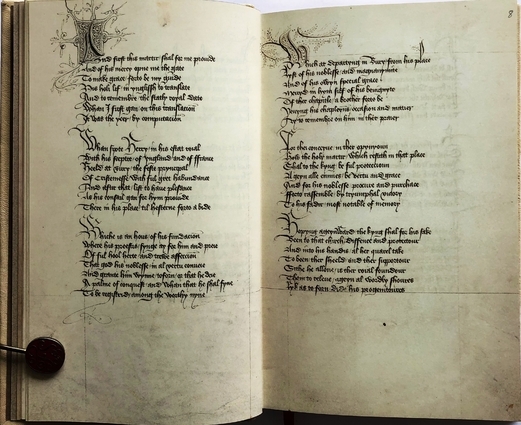 So it should be more accessible to anyone who can read Chaucer, once you get past the decorative script. I bought a Fine copy on Abe in March for $275 (US) including shipping. 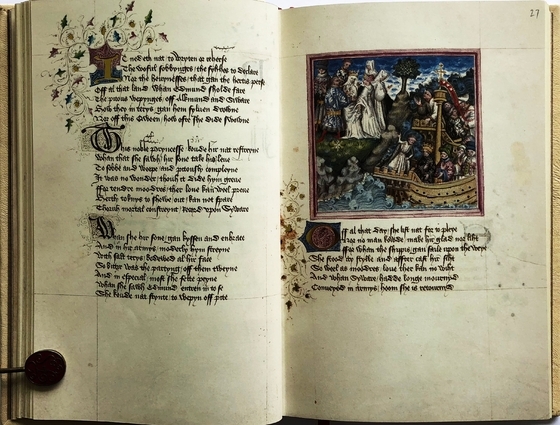 A steal if you like facsimiles of illuminated manuscripts.